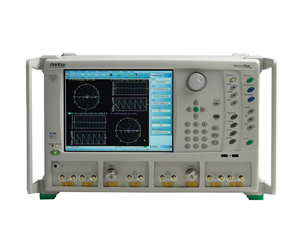 These VNAs feature a high available power of up to + 14 dBm, a superior dynamic range of up to 142 dB, an automatic calibration system to ensure accuracy, best in-class time domain analysis, and the ability to provide 4-port single-ended or balanced measurement analysis of differential devices, drivers, and components. The noise figure option is based on a cold source technique for improved noise figure measurement accuracy. 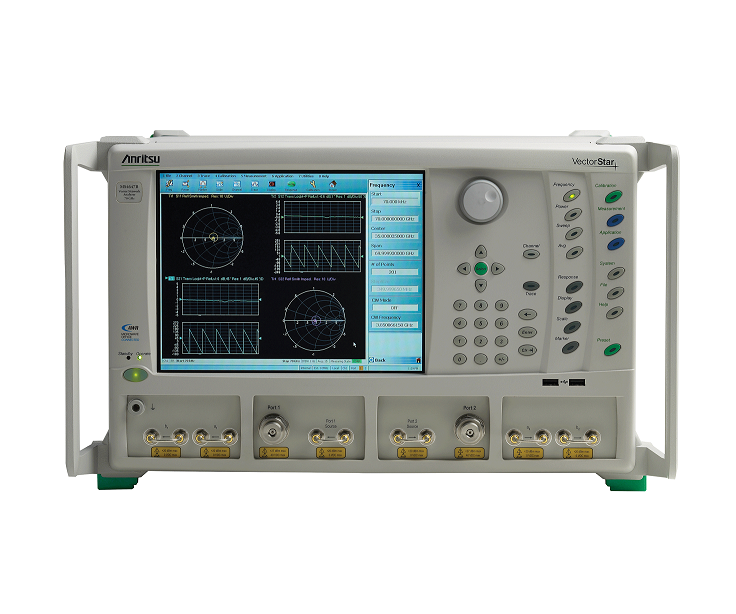 VectorStar is the only VNA platform capable of measuring noise figure from 70 kHz to 125 GHz and available with an optimized noise receiver for measurements from 30 GHz to 125 GHz. The MN4765B is a characterized, unamplified photodiode module that works with the MS4640B Series VectorStar VNA as an optical receiver to perform highly accurate and stable optoelectronic measurements of both modulators (E/O) and photoreceivers (O/E) up to 70 and 110 GHZ. For more information on how the MS4640B VNA series can provide you with high performance and broadband network analysis solutions, download the datasheet.